Professional Bull Riders (PBR) prepare to deliver One Huge night of the toughest sport on dirt. Come and experience the nation’s most elite genetically bred bucking bulls in a head to head battle of power, agility and the fight of the fittest eight seconds at a time. 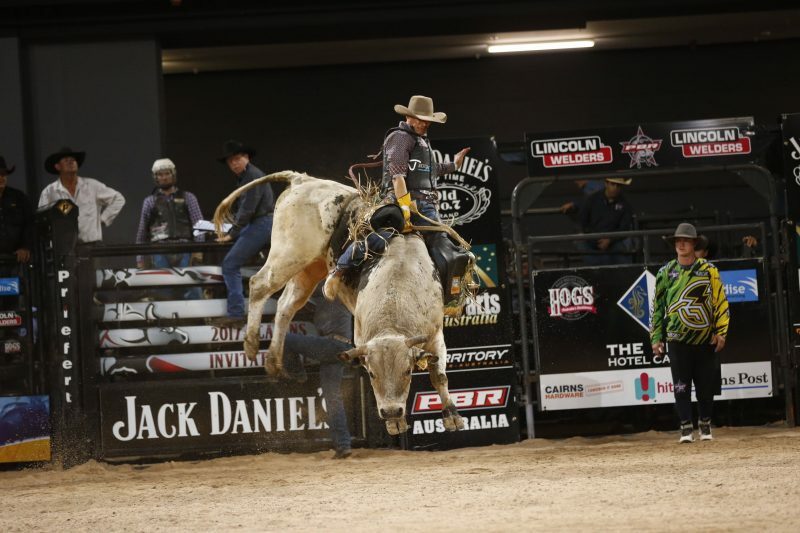 Unlike traditional PBR Events, Iron Cowboy pits rider against rider in an elimination battle like no other. Riders will be randomly matched against each other in a bracketed format and for them to proceed to the next knock out round they need to either out score their component or if both fail to make the eight second buzzer it will come down to the rider who rode the longest time that will proceed to the next round. Choreographed with pyrotechnics, lasers, concert sound system and mega screen replays, with multiple camera angles that will take you behind the scenes and inside the bucking chutes as riders prepare for the ride of their life whilst delivering you the ultimate live event bull riding experience inside AELEC Arena.